The humble spud features prominently in British and Irish cuisine and many of that region's classic recipes are worth trying to make at home. In addition to serving as a satisfying side, potatoes can also appear as main dishes, as well as in stews and soups, breads, and even appetizers. Grab a bag of taters and add a few of these to your rotation. If you only enjoy mashed potatoes at Thanksgiving, you're really missing out the rest of the year. This perfectly creamy recipe is the most basic preparation. Once you master it, you won't even need the instructions. Make sure to taste the potatoes as you season them, to avoid accidentally over-salting. Mix up the standard mashed potatoes by adding a few colorful root vegetables, for both a pretty presentation and a more flavorful dish. Carrot and rutabaga deepen the complexity, but you can substitute turnips or sweet potatoes if you don't enjoy rutabaga. Caramelize some onions for a roasty, fancy topping. Frying these twice-cooked chips a second time gives them that crispy exterior and soft interior we all love so much These chips—or fries as we call them stateside—take a little more time to make, but we think you'll agree: They're well worth that extra step. Roasting red-skinned potatoes with plenty of garlic yields a crispy, earthy side for steak, chicken, or your favorite protein. Adjust the amount of garlic to your taste, and don't forget the chopped parsley; it adds a pretty pop of color and herbal element. Small white or new potatoes would also work well, in this dish. Continue to 5 of 26 below. Your family will love the beautiful look of Hasselback potatoes almost as much as the satisfying flavor. Slow-roasting them gives them a flavor and texture that falls somewhere between a baked and roast potato. Any type of potato works well, but you'll want them on the slightly larger side, to give you room for those pretty slices. In the UK, they call French Fries "chips" but by any name, these easy homemade fries will make you swear off the frozen version forever. Soaking the fries in water first helps remove some of the starch and sugars, which gives them that addictive crunch. Try frying them twice, for an even crunchier texture, or tossing them in seasoning for a fun and different flavor. If you cook the sausage portion of bangers and mash too quickly, you'll discover where the name comes from, as the meat explodes with a "bang!" in the pan. There aren't many Irish dishes more classic than this one—or as simple to whip up at home. It's a cheap and filling meal, and you can vary the flavor by mixing up the sausages, too. A savory onion gravy brings everything together. Yes, potatoes can serve as a main dish if you bake them into a luscious, creamy gratin. The secret to satisfaction is plenty of milk and cream, plus at least two types of cheese. We like Brie, Gruyere, and aged cheddar, but you can mix up the flavors if you like. Slice the potatoes nice and thin for the best texture; a mandolin works well for this, but you can use a very sharp knife, too. Continue to 9 of 26 below. This delicious and hearty potato "coddle" is popular in Dublin, hence its name. It's a hearty and filling stew-like meal, with bacon, sausage, carrots, and potatoes. Beef stock gives it a lovely richness, but you can also use chicken if you prefer a slightly lighter flavor. Did you know that shepherd's pie must use lamb, or it's called cottage pie instead? Use either ground or finely-minced lamb in this savory, filling dish that can serve a crowd. While this recipe calls for lard or pan drippings, you can also use butter instead if you're using leftover meat or don't have lard on hand. Bubble and squeak is a fun name for a traditional British dish that's usually made with potatoes and leftover vegetables, so it's as versatile as it is delicious. It's especially tasty with a runny-yolked fried egg on top, for a built-in sauce. This "fancy" recipe calls for fresh vegetables, which is great if you don't happen to have leftovers on hand. Substitute the chorizo for beef or another meat, if you've got some you want to use up or prefer a different taste. In the British isles, Colcannon makes use of two of their most signature veggies: potatoes and cabbage. The result is a hearty, starchy side that dates back to at least 1875, but perhaps even earlier. If you'd like to mix it up a bit, you can also add bacon or some chopped herbs, to pump up the flavor. Continue to 13 of 26 below. We all love a good bowl of hearty potato soup on a chilly day, but a long simmer can be time-consuming. Use your slow cooker to set it and forget it, especially on busy days. While the recipe calls for red potatoes, you can use other varieties if that's what you have on hand. Add chopped ham or bacon for a meatier flavor or toss in some vegetables for a healthy twist. The soup also freezes well, so make plenty to enjoy later. Don't let the name fool you; Northumberland Pan Haggerty is an easy potato casserole that you'll want to add to your regular rotation. Use a good-quality cheddar to really pump up the flavor, and serve it alongside sausages for a traditional British meal, or any kind of protein you prefer. To sneak some veggies into the kids' diets, some people add cabbage, as well. This tasty traditional Irish dish is a great way to use up leftover boiled or baked potatoes. With potatoes, garlic, peppers, and of course, cheese, it's the last word in comfort food. It makes a great breakfast or brunch dish with some fried eggs or sausage, or as a side for lunch or dinner. If you're trying to watch your fats, bake your wedge-style French fries instead of frying them. These easy wedges taste just as great, without all that oil. Once you've mastered the basic formula, try spicing them up with garlic and herbs, parmesan, or other spices. You can even divide the batches and make a few, for a fun platter. Continue to 17 of 26 below. Irish potato pancakes, or boxty, are similar to latkes, which you've likely tried before. Made with both leftover and freshly grated potatoes, they're delightful dusted with powdered sugar or served with applesauce and butter. Keep the heat low to cook them evenly, and grate the potato very fine, so they cook through without burning. Fish pie is very similar to cottage and shepherd's pie, but with fish instead of meat and of course, topped with fluffy mashed potatoes. It's very economical, since it's made with fish scraps, which are cheaper than whole cuts. If you don't have a fishmonger who will sell you fish scraps, you can also buy fresh or frozen fish fillets and flake them yourself. Make sure you defrost your fish first if using frozen, to avoid making the dish too watery. Smoked fish have a complex, smoky flavor that's economical but tastes extravagant. These potato and smoked mackerel cakes uses hard-boiled eggs for richness and horseradish cream for a little kick. Spritz a little fresh lemon juice over them just before serving, for a bright note. These are a lovely appetizer or can make a main meal with a nice green salad or fresh vegetables. Yes, you can make scones with potatoes in this lovely Scottish recipe. In Ireland, you may hear them called fadge or simply potato bread. Some recipes don't include egg, but it helps give these their lightness. Make tattie scones to use up leftover mashed potatoes and serve with clotted cream, jam, and butter in the morning. Continue to 21 of 26 below. Bubble and squeak got its name from the sound cooking beef and cabbage over a fire made as it "bubbled and squeaked" away. It's a classic British and Irish breakfast, usually made to use up leftover veggies and mashed potatoes. This basic recipe can be varied, depending on what vegetables you have on hand. Serve it with a fried egg on top, for a filling breakfast or brunch. You can still enjoy the warming goodness of potato leek soup if you're avoiding gluten with this wonderful gluten-free version. You can replace the dairy with coconut milk and olive oil, if you also don't consume dairy. If you'd rather not peel the potatoes, cook them with the skin on. The result will be a more rustic version that tastes just as great. What's better than a baked potato? Baking it twice! Cheesy and rich, this twice-baked potato recipe uses milk, yogurt, cream cheese, and cheddar cheese for the ultimate decadent flavor. Make sure you scrub the potatoes before baking them, so you can eat the crispy, crackly skin. For extra flare, you can use a piping bag or a plastic bag with a hole in one corner to pipe the potato mixture back into the shells. Irish Champ is similar to colcannon, but without the cabbage. 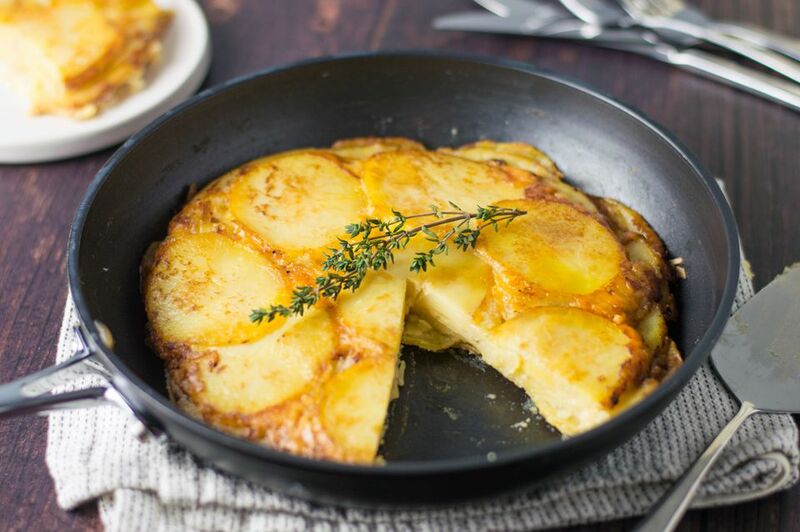 And just like that classic favorite, it makes great use of either leftover or fresh potatoes. This easy recipe tastes like a dressed-up mash with a great onion-y kick your family will love. Continue to 25 of 26 below. Dishes don't get much more comforting than classic cottage pie. If you've got leftover beef and potatoes from dinner the night before, it comes together quickly and easily. You can also make everything fresh just for this dish, but give yourself a little extra time to make and cool the ingredients before assembly. This delightful combination of potatoes, turnips, cabbage, and cheese is almost as much fun to eat as it is to say. Nobody knows for sure where Scottish Rumbledethumps got its name, but we do know it's delicious. 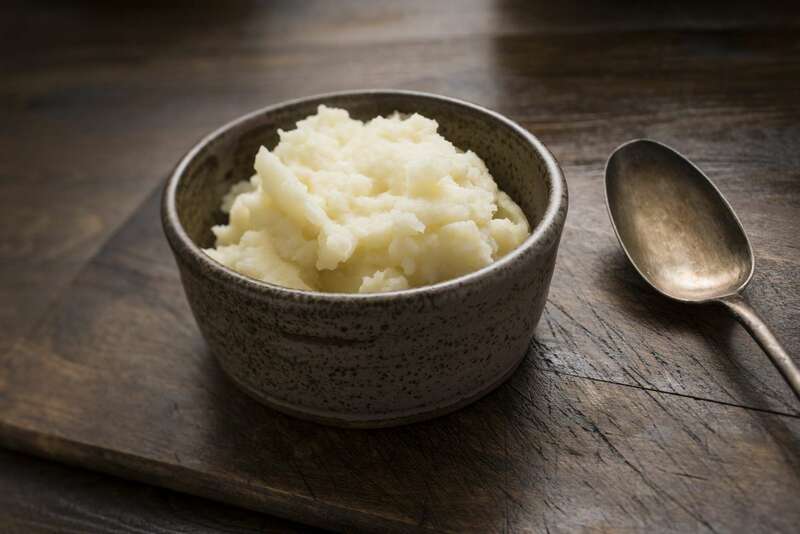 Best of all, it can be made using either fresh or leftover mashed potatoes, making it a great weekday fridge-cleaner. Enjoy it alongside a hearty stew or protein or on its own with a fried egg on top.